Requires a Mac with Handoff running macOS High Sierra, and an iOS device with Bluetooth LE running iOS 11.2 or newer. Please make sure your devices fully support Handoff before purchasing Unlox. • Works with multiple Macs and Apple Watches at once. • Unlock your Mac using Touch ID, your face, passcode, or Apple Watch..
• Manually lock your Mac. • See your MacBook's battery level in the widget. 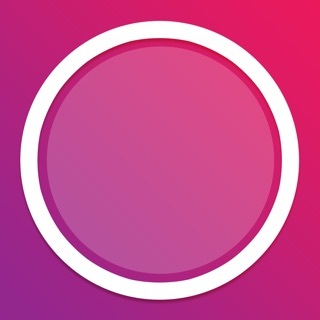 • Choose from beautiful colour schemes and change the app icon. • Never connects to the Internet without your consent. You don't need to open the app to unlock your Mac. Intelligently notifications when one of your connected Macs is woken up, which you can action directly from your iOS lock screen using either your fingerprint, face or passcode. You can also play, pause and skip iTunes & Spotify on your Mac remotely. Audio controls work anywhere the physical keys would on your Mac. Press hard on the app icon to quickly access settings or to lock and unlock your Macs. Create URL schemes to lock and unlock your Mac from other apps. Clipboard sharing is built right in – share any piece of text quickly and reliably. Enable auto-lock and your Mac will automatically lock when your iOS device moves away from it. You will even get notified when your Mac locks itself. Enable Proximity Wake and your Mac will wake its display when your iOS device gets near, with the option to automatically unlock it. Includes a handy Notification Center widget, which will show all your currently connected Macs and give you quick access to lock and unlock them from anywhere on your iOS device. Great support for hardware keyboards so you can zip about the UI really quickly and intuitively. Pairing Unlox for iOS with Unlox for macOS will enable Tap to Unlock, an exclusive way to unlock your Mac by tapping a custom tap pattern into your Magic Trackpad or Magic Mouse. Exclusive to Unlox. Unlox is not compatible with MacID. - Fixes an issue where Unlox would say "Unlox Beta" on your home screen. - Fixes an issue where unlocking using the 3D Touch home screen quick actions or URL schemes would require Face/Touch ID, even if it's disabled in Unlox settings. - Fixes an annoying notification incorrectly being sent when Unlox reconnects while the screensaver is showing (even if you have Proximity Wake disabled). So, I finally decided to sit down and check what was going up with MacID. Updated the mac App and got the message about the changes...I also noticed I missed my "promo" window (or something) because I'm not getting a discount, but guess what? I don't care! I hit the purchase button and set everything up in like 2 mins it was a breeze to set up and it's so snappy! This is one of those apps that you just want to keep supporting, such a great job, the tap to unlock has been my unlocking option since I got this app. And now with Apple watch even easier. Congratulations to the dev for getting the app accepted, Nevermind the name change, your good work speaks volumes!! Sometimes we just have to embrace the changes. Keep it up you totally deserve it and thank you for this great app! Technically the product does work in that if you connect it all up, if when you walk away you don’t walk more than about 20 feet it will lock your Mac. And if you didn’t walk more than 20 feet away, when you come back it will unlock it. So it does what it says it will. However, if you walk more than 20 some feet away from your Mac, which is sort of pretty normal behavior, when you come back it will have lost connectivity between the phone and Mac and simply will not unlock the Mac. To get it to work you have to go sign back in to the app on the Mac, have it forget your phone, reconnect to your phone, and then don’t ever walk away. Which sort of defeats the purpose of the app. So it does work, as long as you never leave your Mac. The premise is fantastic, the execution has some good ideas, it just lacks the ability to actually work. It needs to have a wake-up mode like you do when you take a Bluetooth mouse out of range, and then back in range. Unlox simply does not do what it claims to do. It does unlock your computer, but you have to reconnect it every time you get out of Bluetooth range. This obviously defeats the purpose of the app. You also have to forget your device and pair it again each time it loses the connection. I have the iMac Pro, iPhone X, and the latest software versions, so there can be no out-of-date compatibility problems. Bluetooth on all my devices works flawlessly on everything else. I guess Unlox deserves the one star for having a good idea, but this app is a complete fail. Update: Still no contact from the developer. Still no update for the apps to make it work. I suspect the positive reviews are fake. This app does not perform as described. As much as I want this to work, I give up. I have tried for months. Delete.